The day I interrupted writing one book for another. The law of inertia tells us that a body in motion stays in motion. And the same goes for projects, creative ideas, daily tasks, half-written emails, and that thing you stopped working on to read this article. 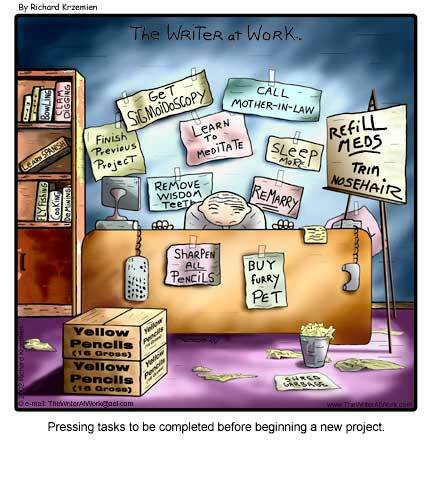 When you interrupt a task, it can be difficult to pick it up again. And we are interrupted nearly every three minutes, apparently, according to some professor or another. But most of our interruptions are self-imposed. Think of all those books you couldn't wait to read, but never actually finished; the projects you giddily started that petered to stagnation; the ideas that never moved into actual conception. Not everything is meant to be finished, but many of us have a boatload of projects, books, emails, and to-dos that have been relegated to a kind of purgatory of incompletion. 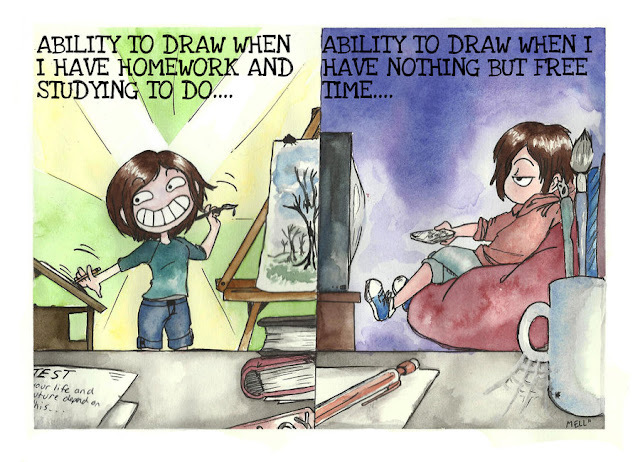 Nearly a quarter of adults around the world are chronic procrastinators. But I am the worlds worst. I have so many projects on the go, that at one point I had to scrap all the ones except the ones I would realistically get finished within 6 months. 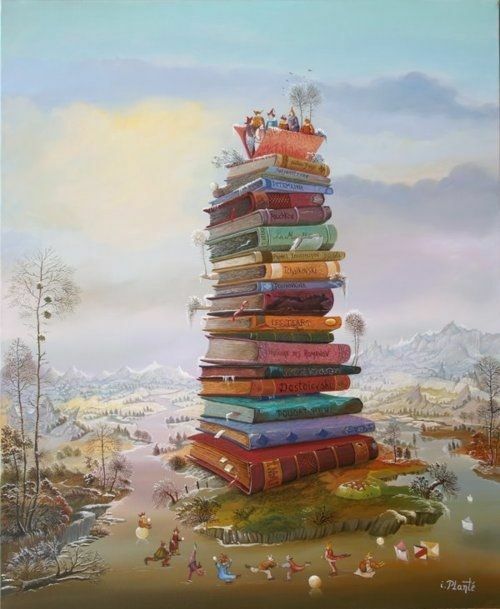 I have many book ideas, story prompts, bits of notes about titles and plots. Two of them were almost ready for an edit until last week. Last week, I started reading Leigh Shearin's blog and it stopped me writing in my tracks. Leigh's blog is a blog you can feel, as you will notice when you start to read her blogs. So much so, that I was so inspired it gave me another story idea! An idea that wouldn't quit. 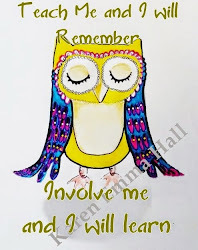 Now ordinarily I would have just had to write the idea down and leave it until whenever, but I woke up the next morning still thinking of this particular part in the blog and my ideas went on and on and once I started writing I couldn't stop. This has only ever happened once before and that was with my first book Teeny Pheeny as if it was already there in the air waiting to be caught and written down. I was racing along! 2,000 words, and the next day another 2,000. That night I was so pleased I got it edited. Then when in a conversation with Leigh, I decided to tell her about my idea from her blog. Leigh is a Writer, Baker, Photographer and Farmer. 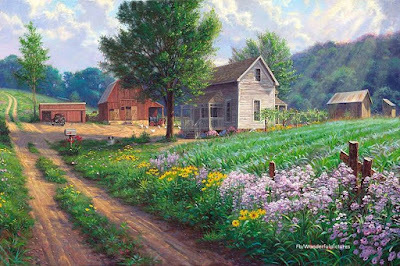 She resides in a rural land with her husband, who are developing their own small, sustainable farm, Winter'Rest Farm in north Central New York. Through it all, Leigh has written stories and poems, some published, some tucked away. 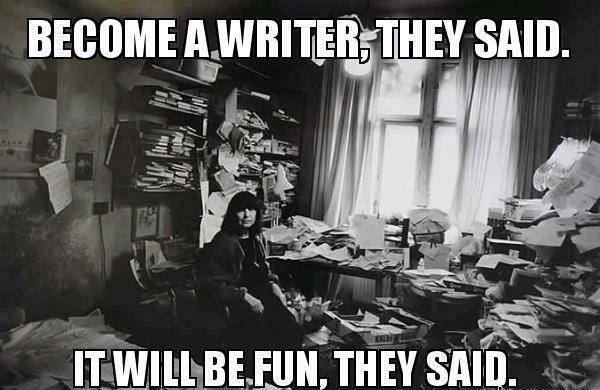 Now that I'm nearing the middle part of my life, (assuming I'll live to 100), the Writing Gene has ignited. I can't seem to quench my thirst for words. I'm following my goal to write full-time, to farm full time, to dream full-time, This is just the beginning. I hope you'll come along for the ride. Overlooking a long, narrow lake, Westward Ho was my childhood home. A sprawling mid-century wood-and-glass, pseudo stone-chalet perched atop a low rise in a Pacific NW neighborhood full of similar cedar shingled, contemporary, heavily wooded properties. It was a terrific place to grow up. Raised in the Birkenstock-wearing, Save-the-Whales, granola crunching west coast of the early 1970s, I was what would now be considered a "free range child". As long as my chores were done, I came and went as I pleased, spending large chunks of time at the nearby Hunt Club, where I took riding lessons, groomed during Polo matches and shows, and participated in Pony Club. Our neighborhood too, was loaded with my schoolmates, and we all roamed through each others yards, sharing toys, building forts under the jungle-like rhododendrons, and cruising on bikes. None of the area kids spent much time indoors when the weather was fine, and I was no exception. In those days, our mothers didn't try to be our friends. They laid out graham crackers and juice for snacks, bandaged scrapes, and called us for dinner. Aside from that, they expected us to be outside, playing, and leave them alone. So now I have promised to allow Leigh to read a few chapters before I publish it, and I will. 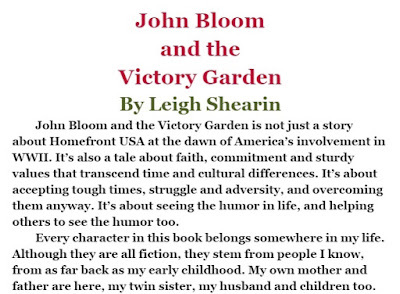 Once you have read some of Leigh's blogs you will not be in the least surprised to find out that her first children's book John Bloom and the Victory Garden is about the step by step commitment it takes to nourish and grow! 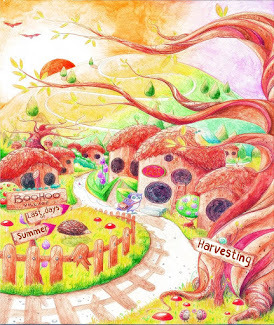 How creating and building your own garden are the key ingredients to sustain not only our physical being, but each and every part of our emotional and spiritual being. To learn about ourself and about life. Once you get into this book you are living it with her, and it's an experience not to be missed. Monday, December 8, 1941, is no ordinary day to wake up to for 10 year old John Bloom. When he finds out Japan had bombed Pearl Harbor, we wonders if there is there anything he can do to support? 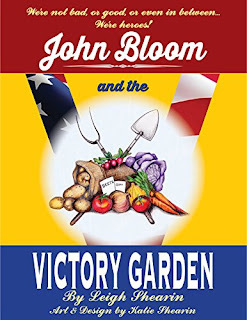 John Bloom and the Victory garden is the first in the series. So thank you Leigh Shearin and for allowing me to procrastinate and get so much out of it, like a fully written book almost! (Only Leigh knows what it is about, and I will be mentioning it at a later date.) Thank you also for inspiration and not giving up even when you are on the cusp of giving up. I raise a glass of home made wine to a very inspirational free-range writer and say cheers to good friends and ideas! 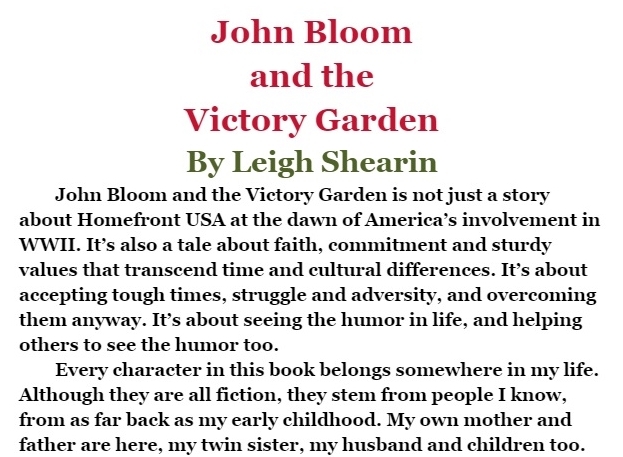 And to Leigh and thousands of others I also say; never give up on a dream entirely, do what John Bloom does, one step at a time to nourish and grow.